For travel convenience to and from all of the many places you go each week, it is crucial to have a reliable vehicle. If your credit is poor, you may feel that financing is not an option for you. This is simply not true. There are a variety of financing choices for the general public and special deals on teacher auto loans in O’Fallon. 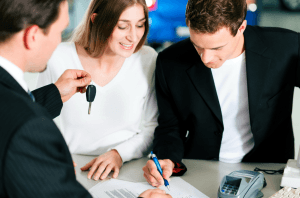 Knowing your credit rating before shopping for a loan and a car is quite important, as it can be a negotiating tool for the best interest rate. In addition, a copy of your credit score is also valuable. Research interest rates online or through phone calls in your area for your credit rating. Set an affordable budget to work within for your loan payments and include fuel costs, maintenance services, unexpected repairs and insurance. It is not necessary to spend all of your available funds. Saving money when you are able is a big bonus. While the amount of your monthly payment is certainly a consideration, what is more important is the APR or annual percentage rate which affects your overall spending throughout the loan. Locating a dealership that offers the benefit of being a buy here pay here car dealer can save you time when paying your bill each month. It may be best to pay your down payment on a credit card instead of with cash to safeguard against possible problems that may occur down the road. Issues are not common but can happen unexpectedly. Call 5 Star Auto Plaza at (636)940-7600 about our vehicle selection and our teacher auto loans in O’Fallon.